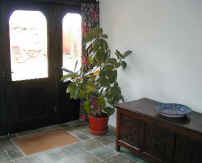 The entrance hall is tiled and spacious and has under-floor heating. The old stables date from the 17th century. They were almost certainly built at a time when the farm was going through a period of considerable prosperity and expansion – an extension to the farmhouse was made at the same time. 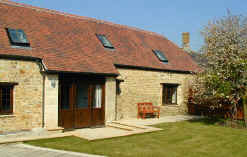 The stables are built of the local honey-coloured stone and were originally thatched. Much of the remaining stonework is original. The enclosed garden faces south-east. It has a lawn, flowering shrubs and a particularly pretty crab-apple tree. There is garden furniture.